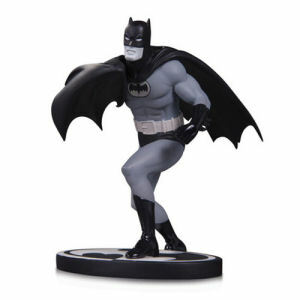 We have Just Sold out of Batman Black and White Batman by Carmine Infantino Statue. This Item is unavailable at present. From the Batman collection by DC Collectibles. Batman Black and White Batman by Carmine Infantino Statue. Inspired by the Batman Black and White miniseries. This limited edition statue is painted in the style of the comic. Measures approximately 6.25 inches tall and features a black and white batlogo base. DC Collectibles Batman Figurines shipping from Canada. No Surprise Border fees or Customs!